As a student at the Hollywood Airbrush Tanning Academy, you will receive the most comprehensive spray tanning training available. Comprehensive on-location spray tan training at your house, or place of business including spas, tanning salons, hair salons, and nail salons. Or you can come to our Airbrush Tanning studio/on-site location. Coming to our location is very beneficial because it allows you to see how we have everything set up. Step-by-step instructions on how to start spray tanning like a pro, including advanced spray tan techniques that only a handful of tanning specialists in the world know. Extensive review of the best (and most affordable) equipment you will need to get started. Test out several different spray tanning machines during your hands-on training – then go purchase the machine of your choice after training is complete. Access to 4 hours of Online Video Training to give you the basic knowledge. All students get access to our online video training as soon as they sign up. Access to our Online Graduate Course which includes reminder videos on spray tanning technique, client forms and marketing materials so you can set up your business online and learn how to market like a pro. Sales and marketing secrets revealed where you’ll learn the keys to starting and running your very own business. Before-and-after photos. We will professionally photograph all the individuals you spray tan during your training. You’ll be able to use these photos to instantly promote your new business. You retain full copyright. Professional Portfolio Tutorial. During your training, you will learn exactly what you need to do to create a portfolio that includes the pictures of your spray tan models that you spray tanned during your hands-on training. With a portfolio, you’ll be able to build your client base and referrals at hair salons, tanning salons, and spas. Free Listing On our website. As one of the highest-ranked Southern California spray tan resource sites on the web, our sister site generates a steady flow of business all across Southern California. As a student, we will list your site for free for six full months (if you choose, you can continue your listing for a nominal rate thereafter). 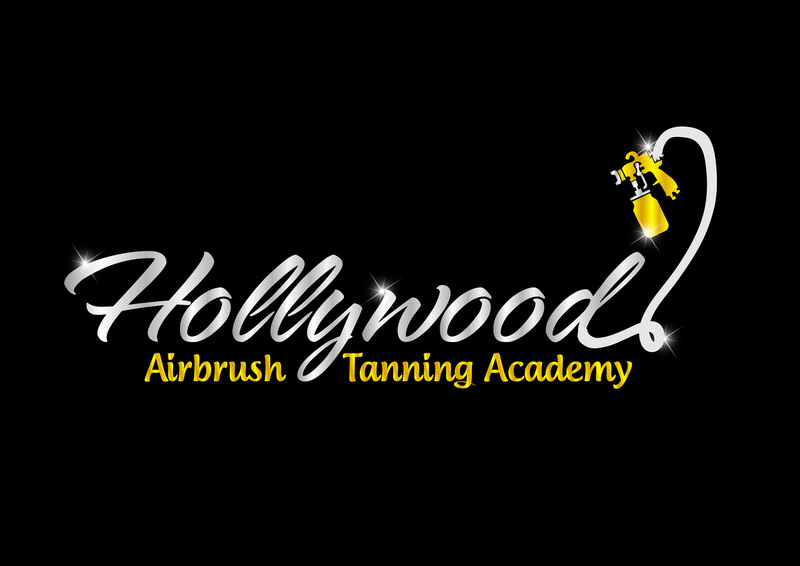 Receive a Certificate of Completion and pin from the Hollywood Airbrush Tanning Academy. You can proudly display your certificate and also wear the pin on your shirt when tanning customers. Click here to see a picture of the pin. You can see a sample of the certificate by reviewing some of the student pictures by clicking here. Official Press Release that will show up on Google News, Yahoo news and many other newspaper websites to give you the exposure you need when you launch your own airbrush tanning business. Email / phone consultation. Enjoy 2 month of one-on-one consultation via phone or email after your training to help with any additional questions that may arise. And, tons more helpful information to get you started! As you can quickly see, the training you receive at the Hollywood Airbrush Tanning Academy, is unlike that offered anywhere else. We are proud to give you the support you need to make your dream of being a successful spray tanning professional a reality. If you are not 100% satisfied that you have gotten at least 10 times the value from your training session, simply let us know within seven days after you complete the training and we’ll refund you all your fees. Hi Erin…thanks for inquiring about the Airbrush Tanning Classes. You can find out more details about the program on our other website at http://www.1DaySprayTanTraining.com and you can also call me at (818) 674-9621 and I’ll be happy to discuss more details.